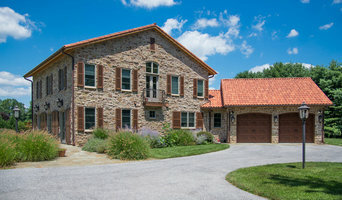 Central Maryland's finest upscale design-build remodeler since 1983. Winner of more than 80 remodeling awards for design and craftsmanship. TRUE Design-Build service from our very own staff architect! 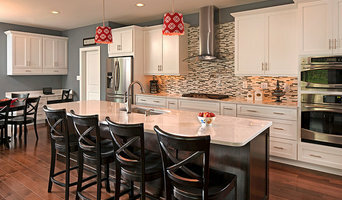 ARDO consistently delivers award-inning kitchens, bathrooms, luxury basements, additions -- even whole home remodels. Check out our spectacular project photos and see for yourself what our clients know: "We build satisfaction". Our award-winning remodeling projects have been featured in Remodeling Magazine, Baltimore Magazine, Chesapeake Home & Living Magazine, Quality Remodeler magazine, Upscale Magazine, the Baltimore Sun, the Baltimore Examiner and other publications. We specialize in creating outdoor living space such as custom decks, screened in porches. Our innovative staff is dedicated to building a custom design that works best for your home and everyday life! Mueller Homes has been handcrafting distinctive custom homes and luxury estates for over 25 years. Our reputation for delivering an extraordinary experience is what truly sets us apart! Cossentino & Sons is a family owned design-build firm. We are legendary for our meticulous work ethic, drive for perfection, & use of superior materials. Contact us today for your home design needs! Distinctive Contracting Services, locally owned & operated and established in 2008, offers exceptional attention to detail and customer service. Through the years they have built a reputation in the contracting industry as one of the premier builders in the area. 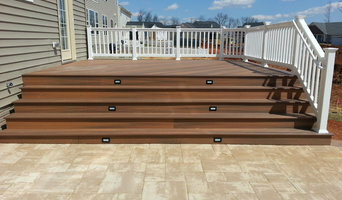 Distinctive Contracting has delivered unique and challenging projects to their customers for many years. Every project is approached with a can-do attitude while also being cognizant of budget. From meticulously finished custom built homes, to all other renovations and services, Distinctive Contracting Services prides itself on high quality craftsmanship and exquisite attention to detail. DCS excels in preparation, and layout to ensure the project will be completed without difficulty and to complete and total satisfaction. Design-Build firm based in Hunt Valley with over 45 years of industry experience, specializing in design, new construction, renovations and rehabilitation. Baltimore's Kitchen & Bath Expert Best of 2014 - 2018! With 30 yrs of experience we specialize in kitchen and bath designing & remodeling as well as additions/outdoor construction etc. We operate in Baltimore, Howard, Carroll & Anne Arundel Counties. Commitment to the finely crafted skill of bringing life to your project, Home Innovations seeks to exceed our clients' expectations through the innovations of the industry and expertise. Choosing a remodeling contractor is an important decision. Please take a look at some of our previous design build projects and client testimonials to get a feel for the quality and commitment that makes us unique. Tabor Design Build is one of the exceptionally few Maryland or Washington D.C. design build companies that provide you with a very high quality, three dimensional design and luxury remodeling service at a reasonable cost. We provide our home design build clients with a true value; the peace of mind that comes from knowing your project will be completed quickly and smoothly. As part of our Maryland home remodel expert's effort to provide true value for your project, our design build team strives to create a stress-free home remodel experience unlike any other. With Tabor, you can sit back and relax, knowing we’re handling all the details for you. We know you’ll be pleased with the efficiency of our home design work, as well as the quality of our finished product. Every project is personally monitored by our president, John Tabor, to ensure everything goes according to schedule and you are completely satisfied with the work. John has performed extensive renovations on his own home to understand how our clients feel and help us improve our processes. Our creativity and knowledge of the trade helps us implement any basement idea you have in mind. We use the most innovative techniques and materials to make our projects more efficient and advanced. Since 1985, my subcontractors & I have provided various "Home Improvement" services to homeowners, landlords, & business owners to repair, refurbish & remodel their property. I have over 40 years of experience in the construction industry & can handle any type of project you need accomplished. Since starting my own firm 31 years ago, I personally have done most of the work and/or supervised my subcontractors. I will help you stay on your budget by working together to achieve your goals. I can help you from the beginning ideas, through the design stage & on towards completion. At Byrd Design and Build, we offer over 15 years of experience in both design and general contracting and have combined the two in order to create a simple and unique contracting experience. With over ten years of experience, we take pride in providing our clients quality craftsmanship, outstanding professionalism, clear communication and 100% client satisfaction. Wall to Wall Construction, LLC is a full service, turnkey design build firm specializing in single story and multi-story additions, whole house renovations, green remodeling, and custom home design. Turner Troxell is a team of detail-oriented design-builders on a mission to make your home customized to fit the unique lifestyle of your family. As a family owned and operated remodeling business, developing relationships is our number one priority. We take the time to understand what our customer’s needs and goals are so that we can deliver the right services and products at the right price. You can be sure when you choose Orbe Construction, that you are getting a team comprised of knowledgeable and professional associates that provide “second to none” service to each client. We are dedicated to providing an unsurpassed customer service from start to finish. Orbe Construction employs a full-time team of skilled painters, carpenters, masons and other craftsmen who contribute an unsurpassed level of experience and knowledge to each project. This allows us to provide unbeatable service with competitive pricing and quicker turn-around than other area remodeling contractors. Orbe Construction is a family-owned and operated general contractor in Olney, Maryland. 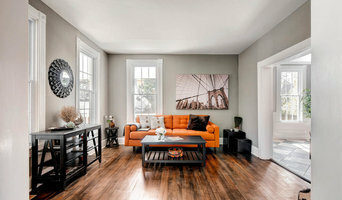 Since 1994, we have been one of the top remodeling contractors in the Maryland, Virginia, Washington DC area. What sets us apart from other remodeling companies is that we have a full time team of professionals experienced in key trades. This enables us to provide our clients with higher quality work and finish, specialized craftsmanship, schedule flexibility, faster turn around, and competitive pricing. We specialize in waterfront properties & are committed to superior service. With 30+ years of experience, our design & construction process has been carefully crafted to exceed your expectations. InSite Builders & Remodeling is a leader in the home renovation field with over two decades of remodeling experience in the Washington D.C. metropolitan area. Our success is based on a proven process which begins with listening to our clients. By combining a client's unique renovation goals with our design ideas and construction knowledge, we are able to develop and deliver a project that realizes a client's vision for their home. We strive to build Clients for Life by offering the ultimate in professional courtesy, creative solutions, inspired design and quality craftsmanship. At InSite, our relationships are built on trust, and we always stand behind our work. Design-build firms take on the responsibilities of architects, contractors and construction companies, all under one roof. These full-service firms focus on a streamlined design-build process — from the initial design to the estimating phase to physical construction — in the hope of creating an efficient experience for both the client and the company. Because the entire project is happening within one company, Catonsville design-build firms are able to overlap the design and construction phases of the project, which often speeds up the project significantly. In addition, these firms work to minimize risks for the project owner through single-point responsibility contracts. However, depending on the firm, you may still want to contact an interior designer or architect to help create the exact look you want. Here are some related professionals and vendors to complement the work of design-build firms: Interior Designers & Decorators, Landscape Architects & Landscape Designers, Architects & Building Designers, Photographers. Before deciding on a residential design-and-build company in Catonsville, MD, think about what you want from your new home. Do you want a large kitchen for entertaining? Do you need several bedrooms for children and guests? Do you want a finished basement for extra space or storage? 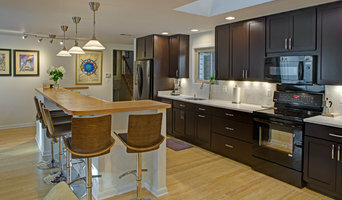 Look for Catonsville design-builders that specialize in the areas you're looking for. Budget is obviously a determining factor in the outcome of your project. To make sure you stay within your means, consider making a must-have list and a wish list. Gauge where the estimates are falling to determine which design-build contract can realistically strike the balance between the two. Find a Catonsville design-build company on Houzz. Narrow your search in the Professionals section of the website to design-build firms in Catonsville, MD. You may also look through Catonsville, MD photos to find a pool you like, then contact the design-build firm that created it.